This is a sponsored conversation written by me on behalf of Chewy. The opinions and text are all my own. We have a house full of little chewers! I know I say that likes a bad thing, and if you have ever had a new pup you know it can be. Pet can get bored just like we do and need something to help with the fidgets. While your pup might not benefit from the fidget spinners that are the new in thing, they surely will enjoy these Greenie Dental Treats for Teenie Pups. 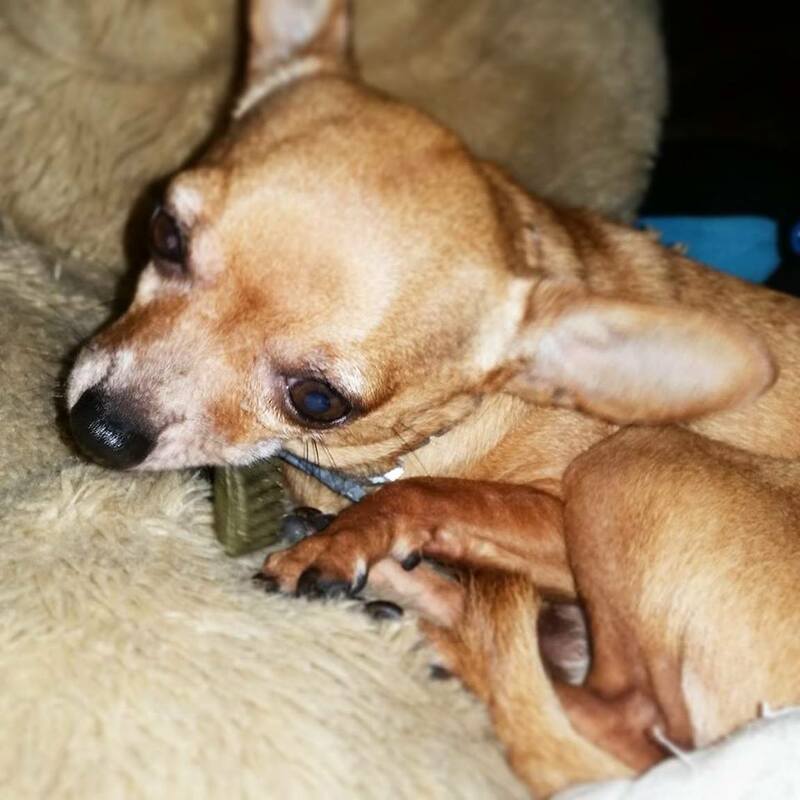 Our pups are not really fans of having their teeth brushed but they absolutely love Greenies! Greenies do the job of cleaning their teeth without the stress of us having to brush them. They are just perfect for our chihuahua's tiny teeth and mouth. 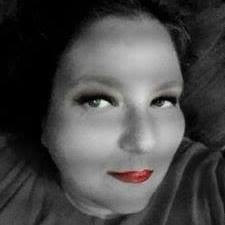 We would highly recommend them not only for the dental benefits but also because they are great treats. We offer them to both our pups daily and they gobble them right up. But we highly recommend getting a larger bag. Complete oral care is important for your dog’s total body health and can add years to their lifespan. 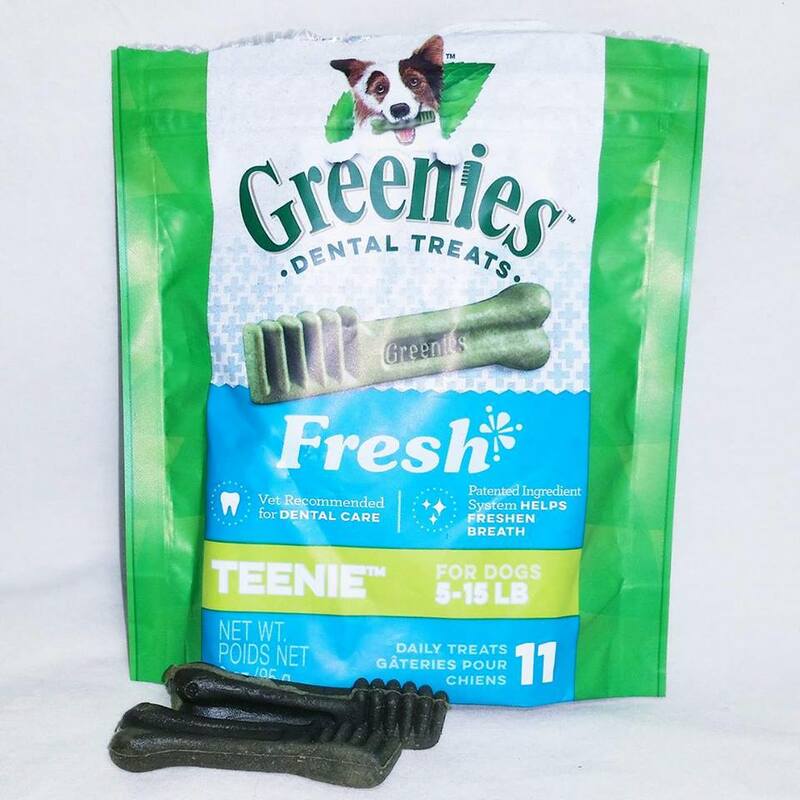 Greenies Freshmint Canine Dental Chews are proven to clean dogs’ teeth by fighting both plaque and tartar buildup, freshening breath, and maintaining healthier teeth and gums. These low-fat dental chews contain dried spearmint for a natural mint flavor and are perfect for daily treating. From our paws to ya'lls, happy chewing!